The Board of the Human Sciences Research Council (HSRC) is pleased to announce the appointment of Professor Crain A. Soudien as the new Chief Executive Officer (CEO) of the HSRC. 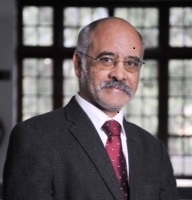 Prof. Soudien’s appointment was confirmed by Cabinet on 27 May 2015 and will be effective 1 September 2015. Professor Charles van Onselen, Research Professor in the Faculty of Humanities at the University of Pretoria, received the 2nd Annual HSRC Medal in Social Sciences and Humanities.